Are hugs the new chicken soup? Think of your gut as a soup of friendly bacteria. Everybody’s recipe is custom made to work with our bodies properly. These good bacteria help digest food and fight disease. Scientists know that stress can mess with the recipe. But how? Meet Aura Raulo, from Oxford’s Department of Zoology, who studies red-bellied lemurs. Just like people, lemurs get stressed out too. They decompress by grooming and cuddling with each other. She found that the gut soup’s ingredients are remarkably similar within lemur families. By chilling out and relaxing together, they unknowingly swap gut bacteria amongst themselves. You can even tell who’s best friends with who, just by looking at their poo. 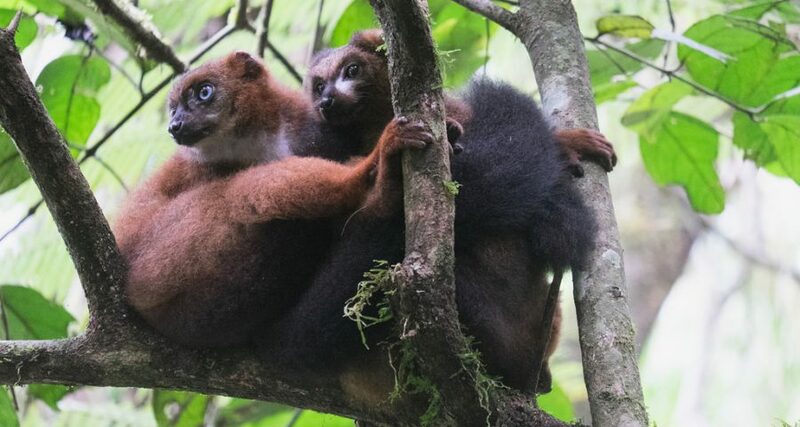 The researchers believe that gut bacteria played an important role in lemur evolution. Passing along beneficial gut bacteria can help fight off infection and disease. And cuddles are the perfect test kitchen! So, don’t wait for a prescription. A hug a day, keeps the doctor away!